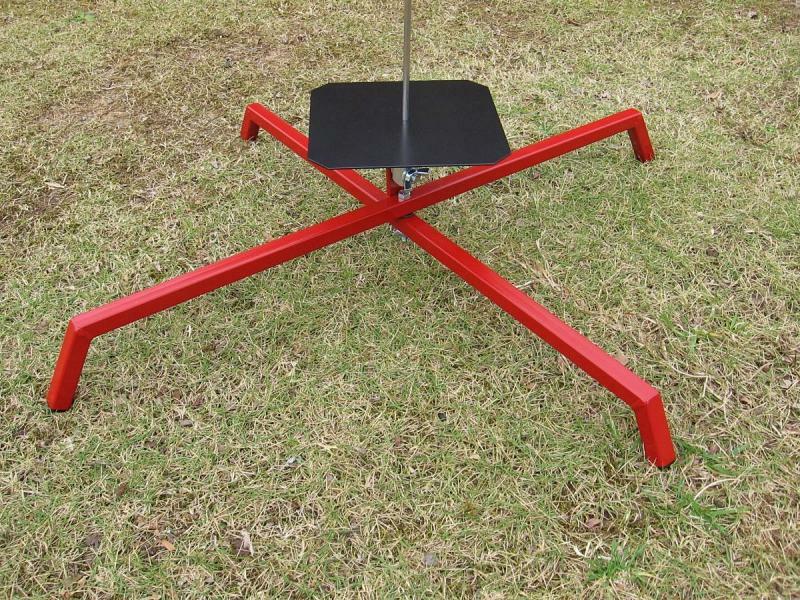 Folding Model Rocket Launch Pads & Accessories. All launch pads include blast deflector. Launch rods are NOT included as we no longer sell rods. Our FLP-32 model is now our smallest folding model. Welding shop made and built to last, it makes the perfect upgrade from a plastic starter set pad or a plastic "E" engine pad. It will accept launch rods from 1/8" to 1/4". 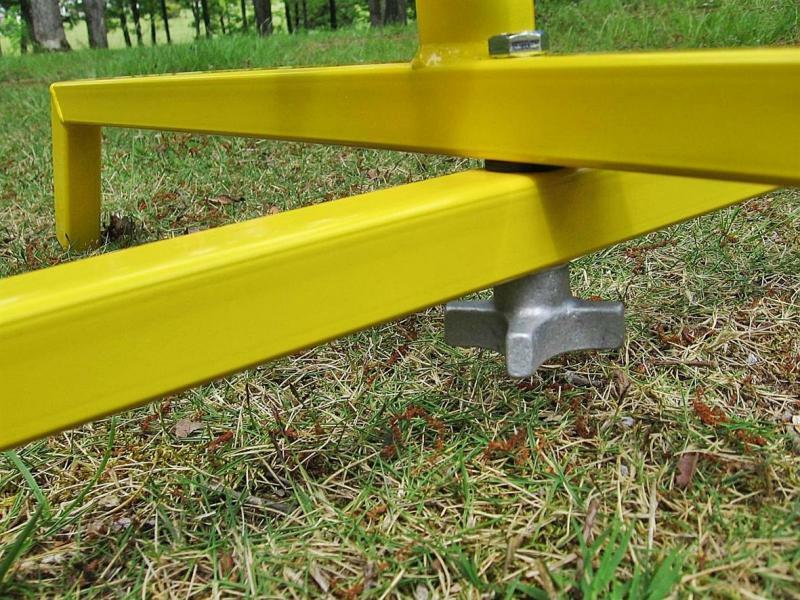 Made from 14 gauge 3/4" square steel tubing, it's sized a little smaller than our FLP-36 pad with a 32" X 30" footprint. Designed to handle rockets up through F engine power﻿, but it still makes a good launch pad for your smaller stuff as it'll hold 1/8" and 3/16" rods. The 6061 T6 aluminum rod holder has twin thumb screws to hold the rod in place and pivots on a 3/8" pivot bolt with wing nut. Comes equipped with a 7" X 7" flat 14 gauge blast deflector painted with high temp black BBQ grill paint. (Launch rod not included). When you're ready to build and launch some rockets that are a little larger than your average small beginner stuff, this is what you need. 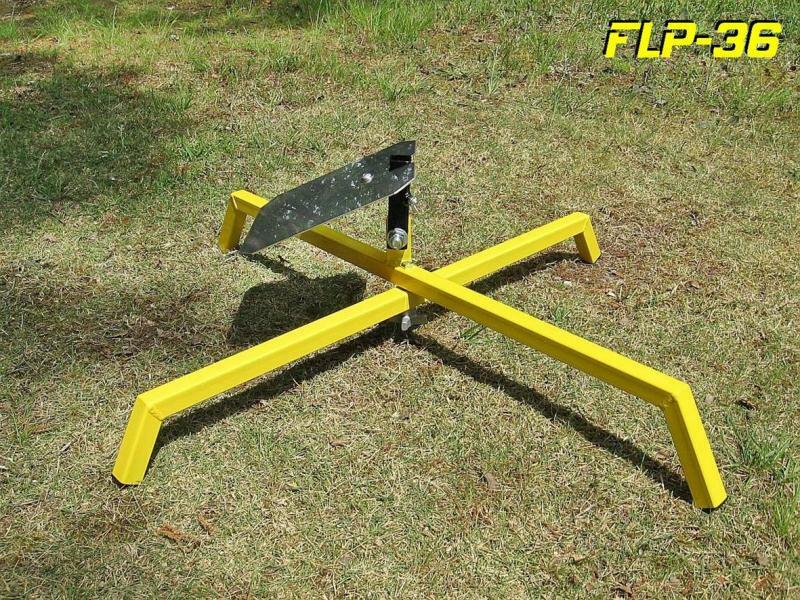 Our FLP-32 Model has a 32 X 30 inch footprint and is a much better choice than a plastic "E" sized launch pad. Capable of launching anything from an Estes "Mosquito" up to the big "Mean Machine", and everything in between. 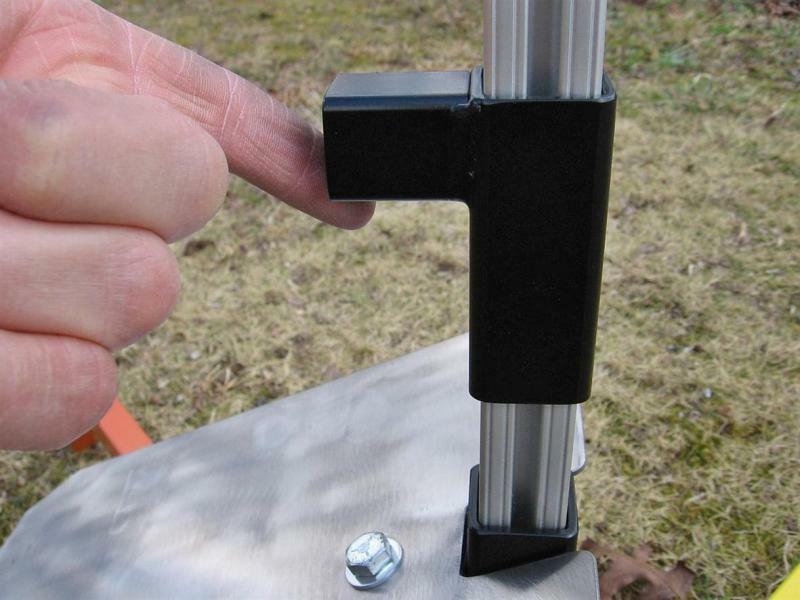 With twin thumb screws, the rod holder holds 1/8" through 1/4" rods equally well. Wing nut on 3/8 pivot bolt holds the pivoting rod holder in place. 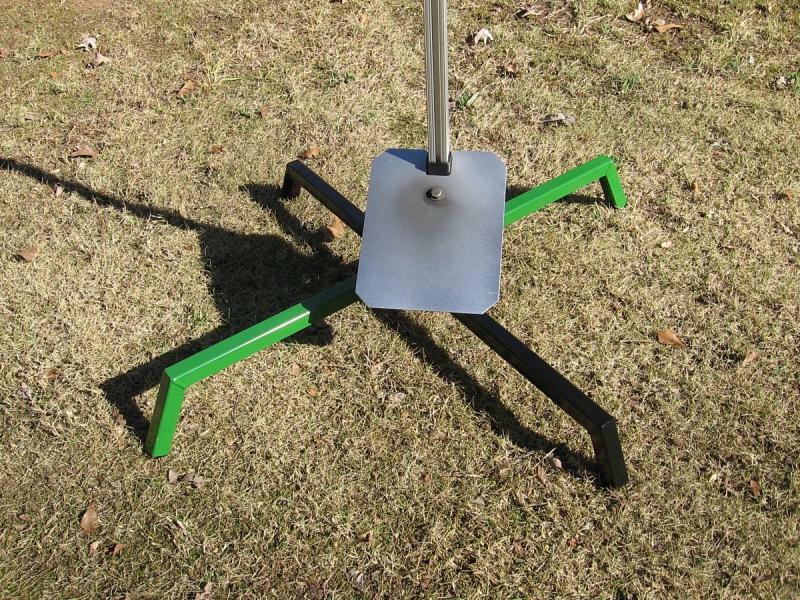 We sell these rod holders for $21.50 each for those of you who want to use them on DIY launch pads or launch racks. Folding design with 5/16-18 wing nut underneath pad. 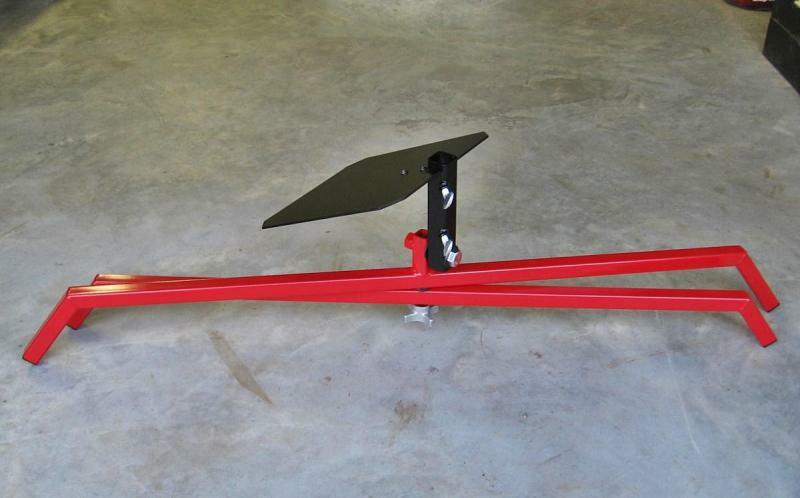 New models come equipped with flat 14 gauge steel blast deflectors painted high temp black. 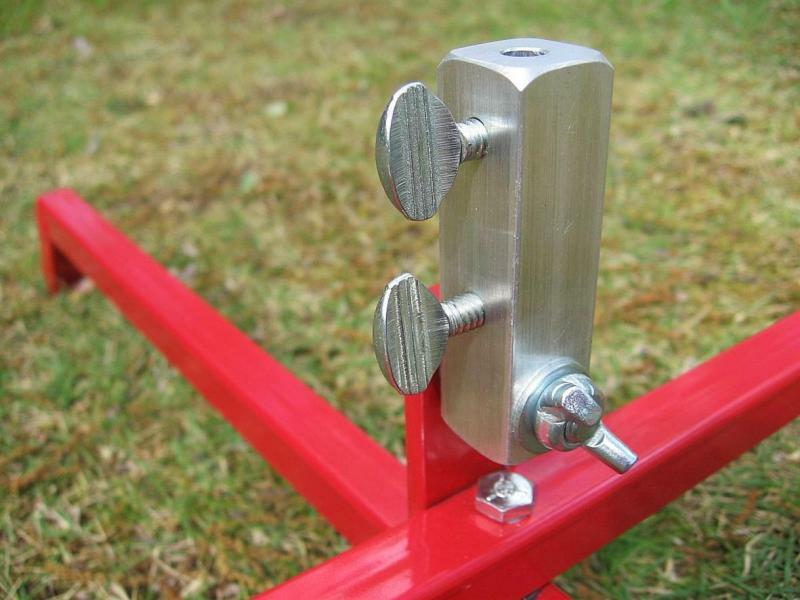 Add an aluminum clamp-on rocket perch for $9.99. 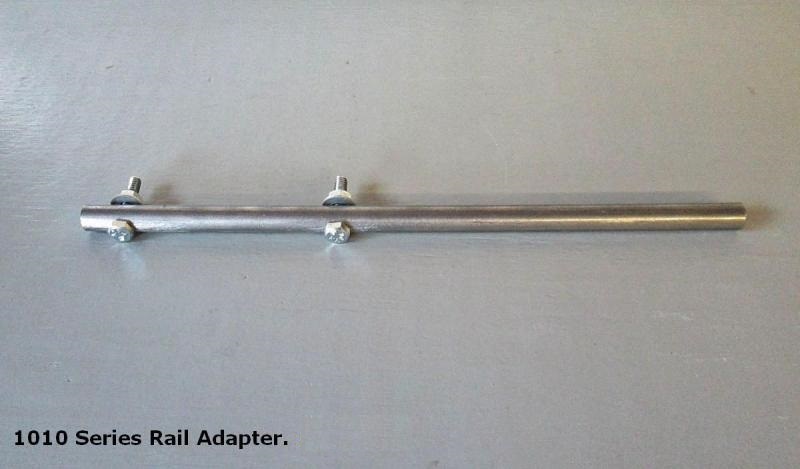 rail / rod holder. These work great for TARC teams. New 2017 FLP-36 models will now hold a 1010 (1" X 1") rail, making this pad an excellent choice for TARC teams. Our FLP-36 model is the next step up from our FLP-30 model. 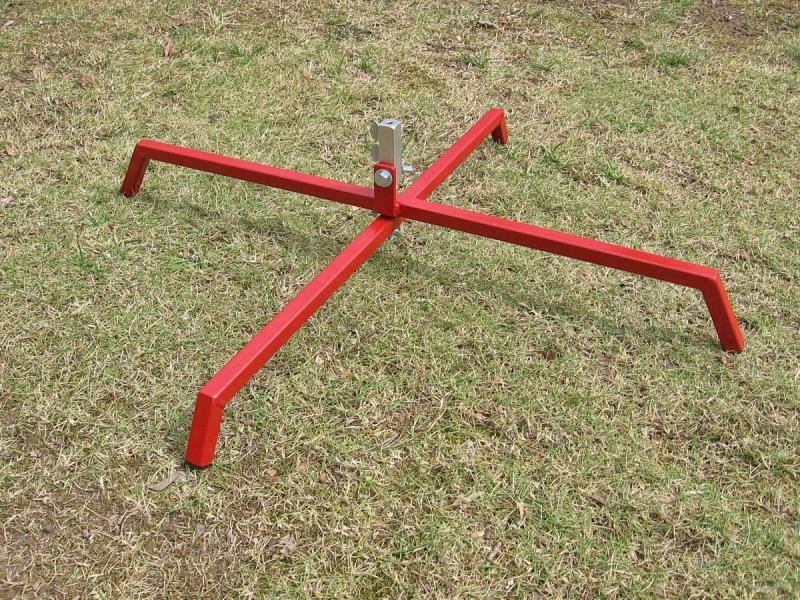 Made from 1" square steel tubing, it is designed to launch mid sized rockets up through "H" power. 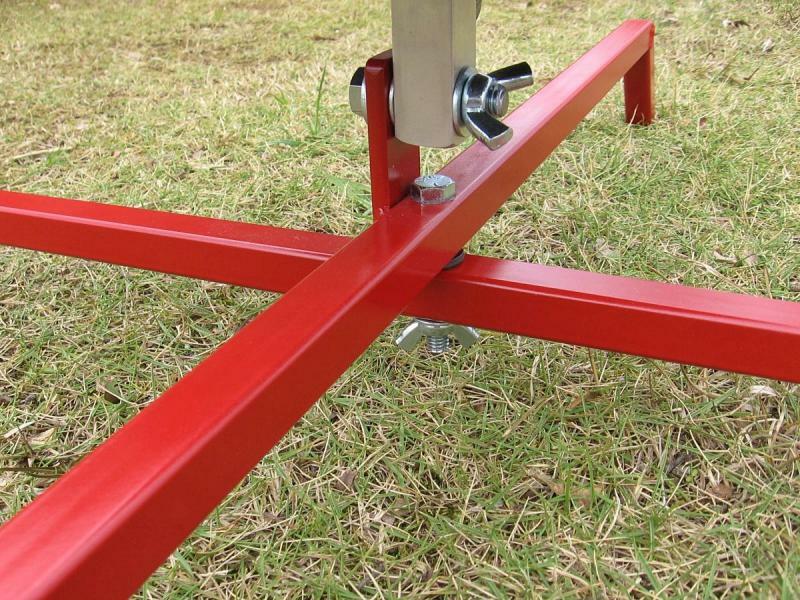 The frame has our standard welded angled ends with plastic tubing plugs to keep dirt out. 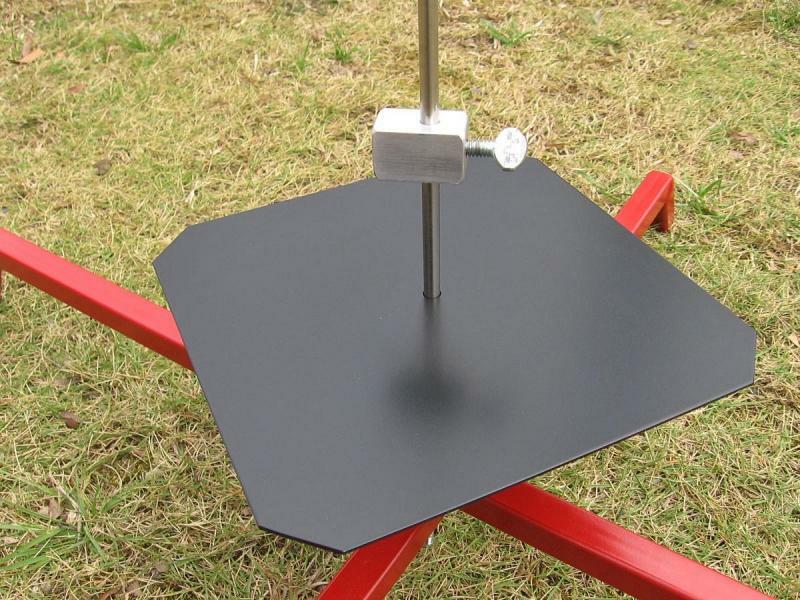 The 36" X 33.25" footprint provides a stable base from which to launch mid sized rockets. The folding frame arms pivot on a 3/8 pivot bolt and tighten with an aluminum star knob underneath the frame. Folds to a compact size for ease of portability. 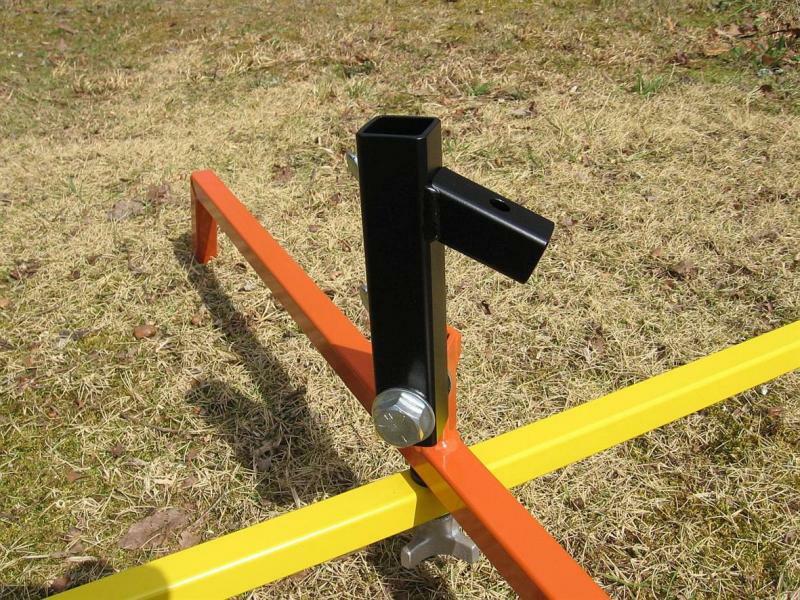 The rod / rail holder accepts 1/8" through 1/4" launch rods as well as 1010 series rails. Holds up to a six foot long rail. 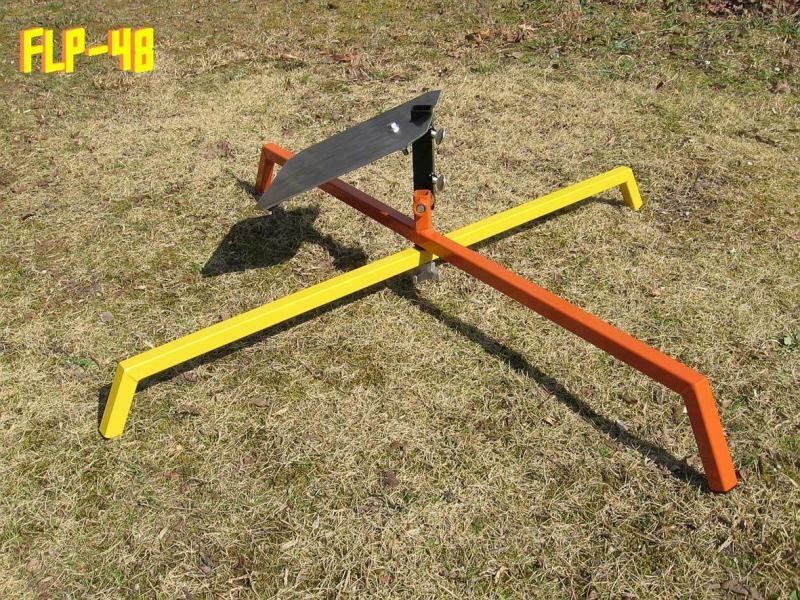 (Yes, an 8 foot rail will fit in the holder, of course, but if you're going to use an 8 foot rail on a regular basis then go ahead and upgrade to our FLP-48 model. 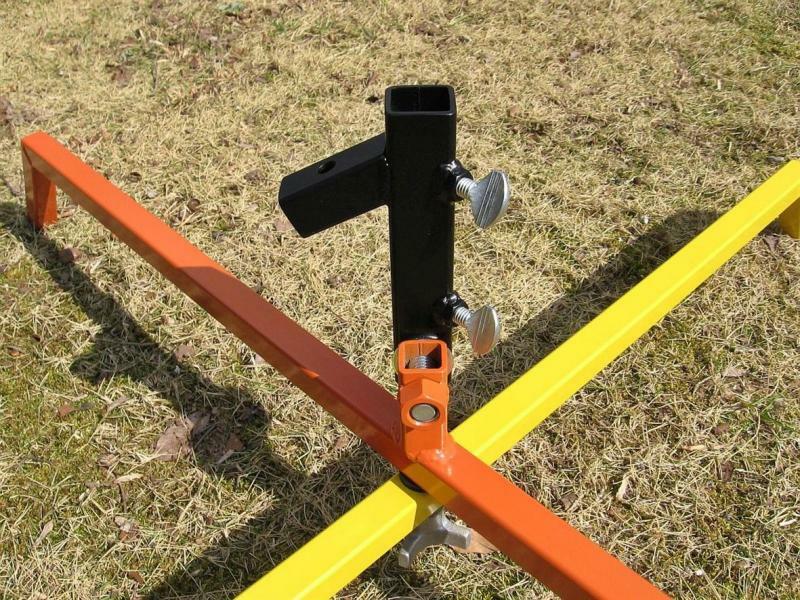 The FLP-48 has a longer twin bolt rail holder with a larger 5/8" pivot bolt which is better suited to hold a longer 8 foot rail securely) It pivots on a 1/2" hex head pivot bolt which is tightened with a wrench (Wrench Lock Series Pad) so you can lock the launch angle in place securely. 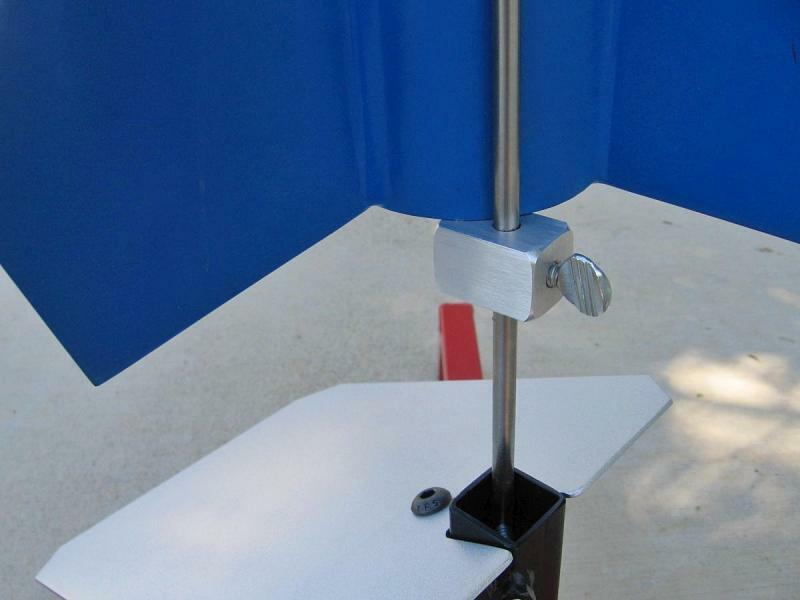 (Using a hand knob on the rail holder to lock the launch angle in place would be sketchy, as a knob would not provide sufficient torque to positively LOCK the holder in place. A wrench provides the torque that is needed for safe launches.) 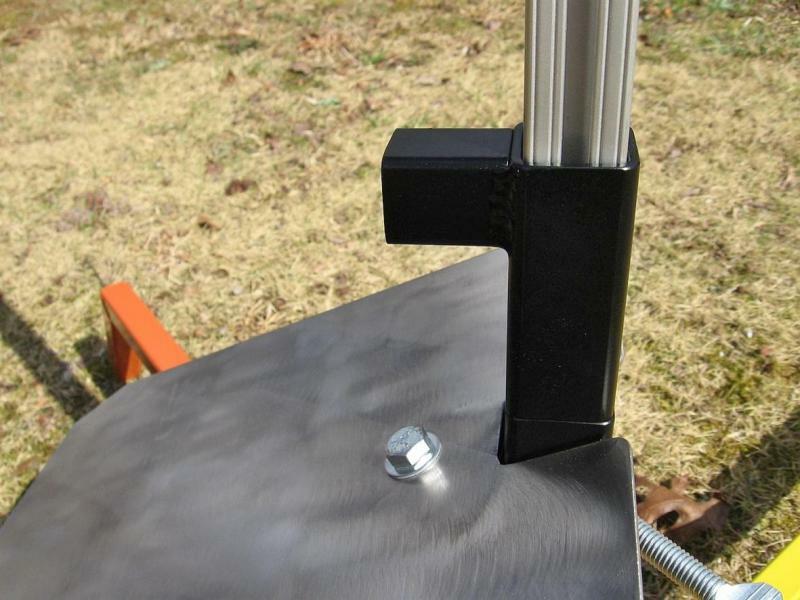 It comes with a 7" X 9" angled blast deflector made from 14 gauge steel painted high temp silver. 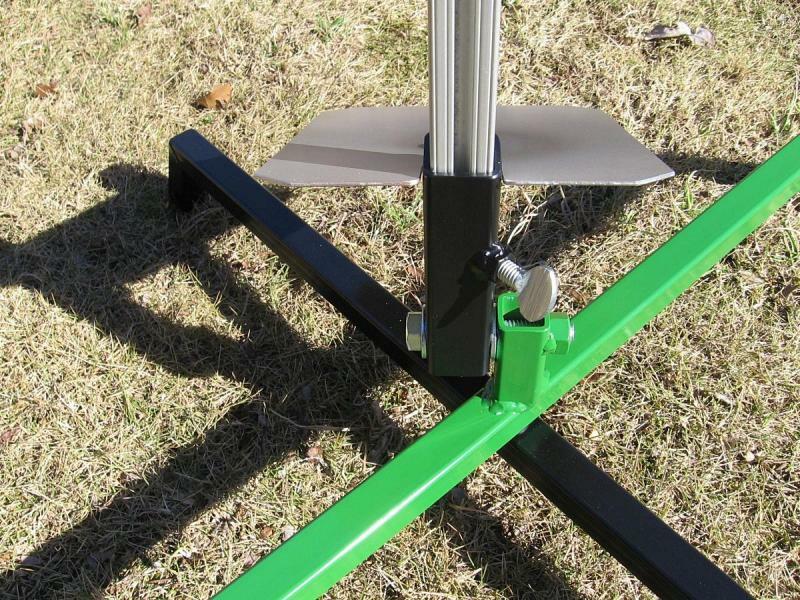 This is our most versatile launch pad for small to mid sized rockets as the rod holder holds 1/8", 3/16", and 1/4" rods equally well and will also now hold the 8020 1010 series rail (Please be aware that we do not sell launch rods or rails. 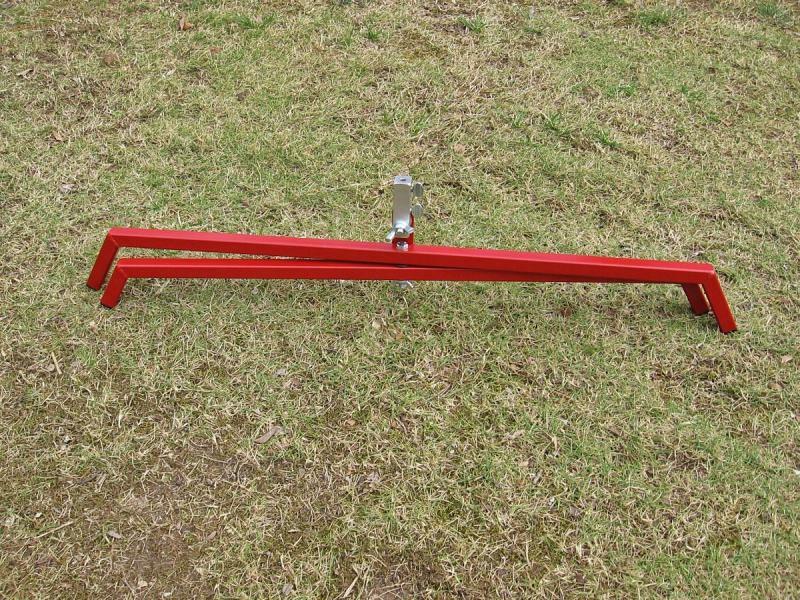 ﻿Purchase rail here: LAUNCH RAIL) so you can launch anything from a small Estes rocket up to something like a Loc IV with this pad. It is one of our best sellers and thus a challenge to keep in stock. Kept in primer and painted to order in the custom color of your choice with pre-payment. Click here for color choices. We ONLY accept credit cards through Paypal. We also accept money orders or checks. Schools purchasing these for TARC teams should make sure you can abide by our payment policy before ordering. Thanks. Please be aware that we do not sell launch rods or rails. Beefy construction with new square tube pivot mount post. 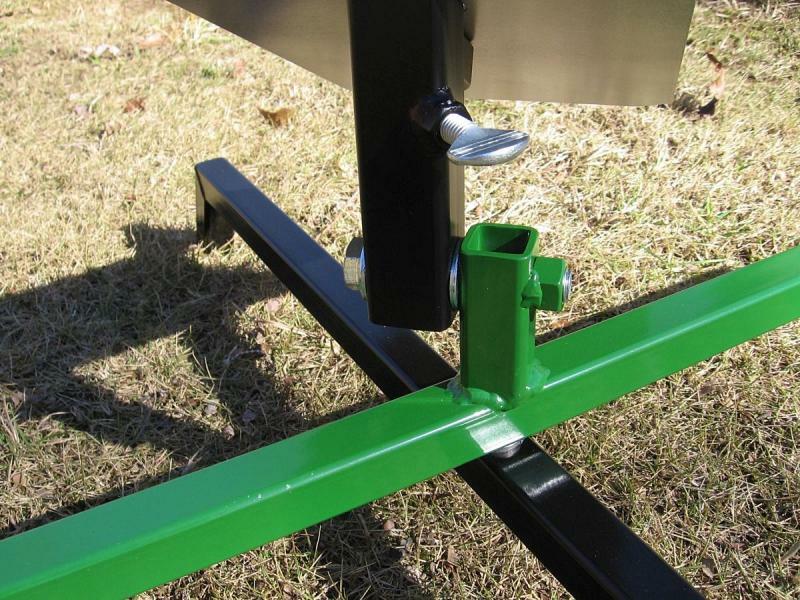 The rod/rail holder pivots on a 1/2" hex bolt which firmly secures the launch angle when tightened with a wrench. Aluminum star knob under frame locks folding arms in place. A knob here is adequate as this pivot point is not stressed torsionally during a launch. 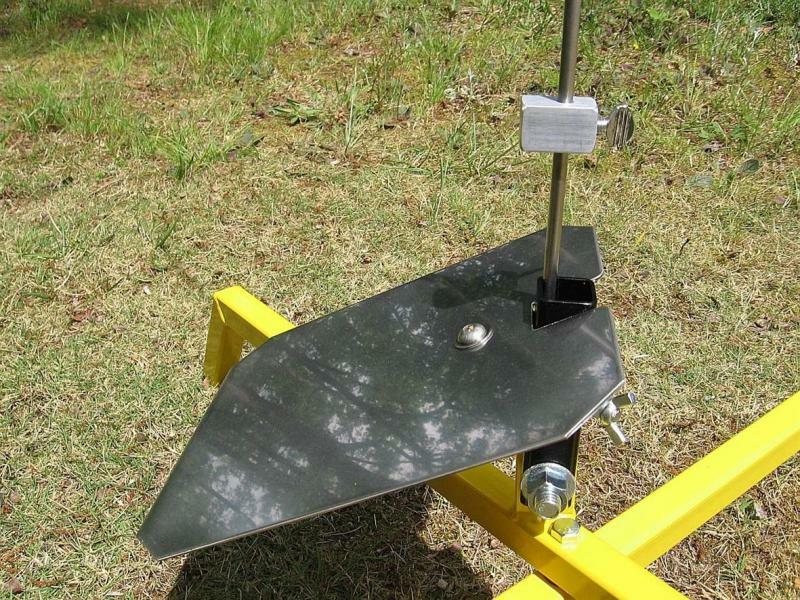 Thick 14 gauge angled blast deflector measures 7" X 9". 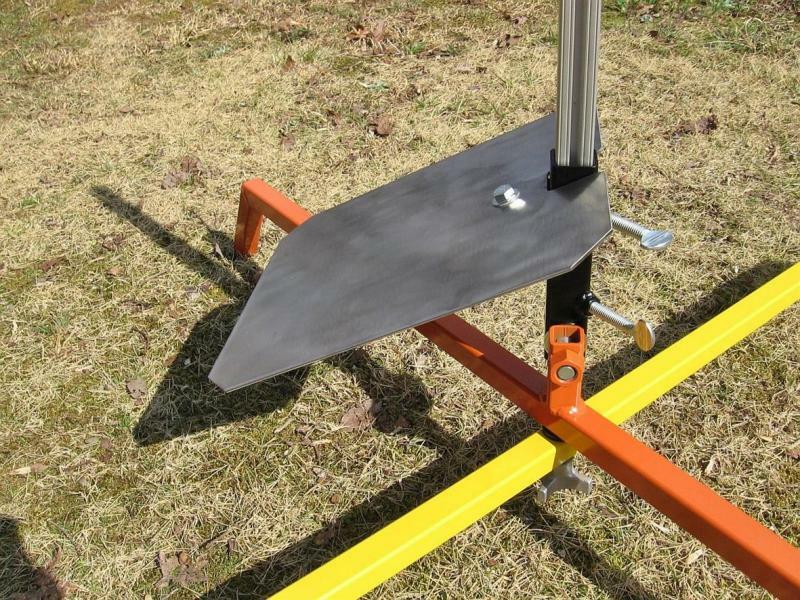 Get a clamp on aluminum rocket perch for $9.99. Clamp on rod perch works with 1/8" through 1/4" rods and provides a more stable rest for the rocket than using a clothes pin. $9.99. Part# RP-1. FLP-36 with flying "Crayon Bank" rocket. Photo courtesy of John Calvert. FLP-48 pad with blast deflector. $239.99 plus shipping. Kept in primer and painted to order in the custom color of your choice. All custom colors require payment in advance. Click here for color choices. We accept credit cards through Paypal. We also accept money orders and checks. Beefy construction & hardware throughout. 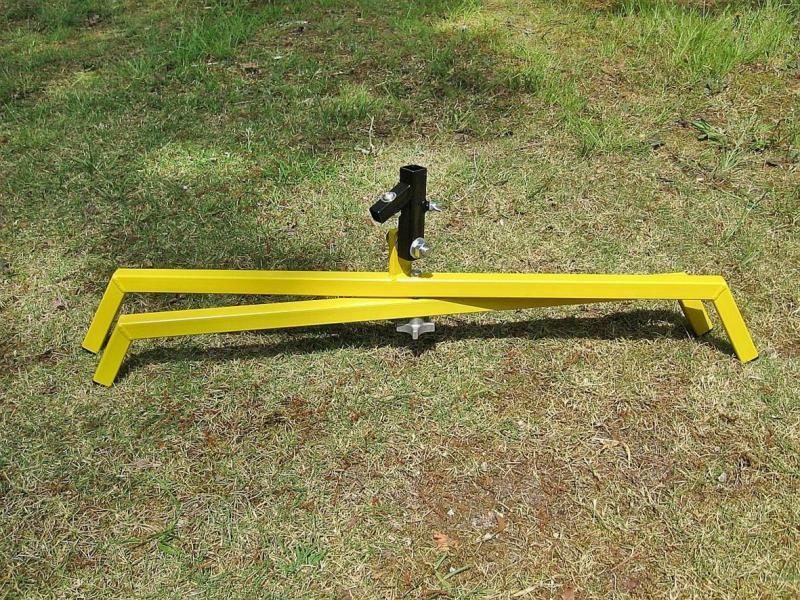 Beefy rod/rail holder holds 1/4" through 1/2" launch rods and 1" 1010 series launch rails. 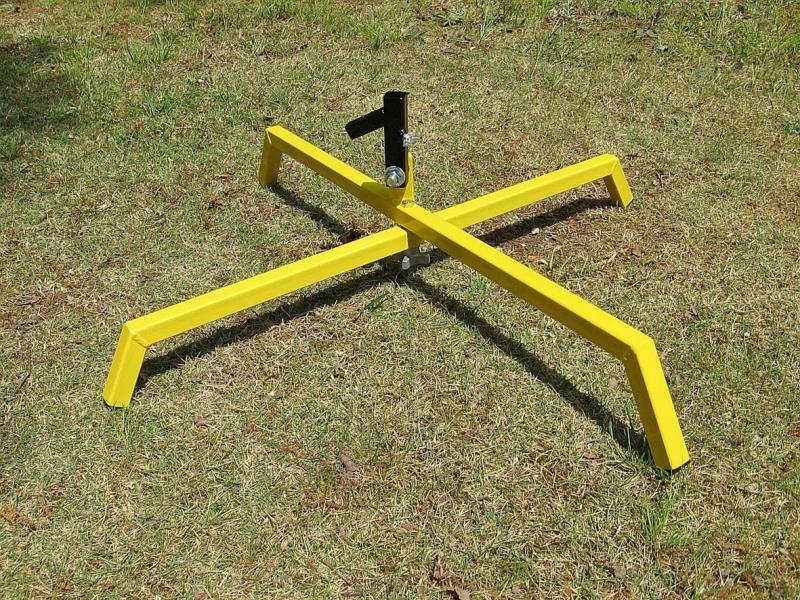 Blast deflector measures 10 X 12. Two 3/8 thumb screws hold the rod or rail firmly in place in the holder. Rod/rail holder pivots on large 5/8 bolt. Blast deflector is bolted to the mounting bracket with a single 3/8 hex bolt. 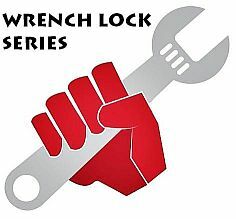 The 5/8 pivot bolt must be tightened firmly with a WRENCH to lock the rod / rail holder in an upright position before launching a rocket, hence the "Wrench Lock Series" classification. Beefy aluminum star knob underneath arms lock the arms in place. The FLP-48 folds for portability. 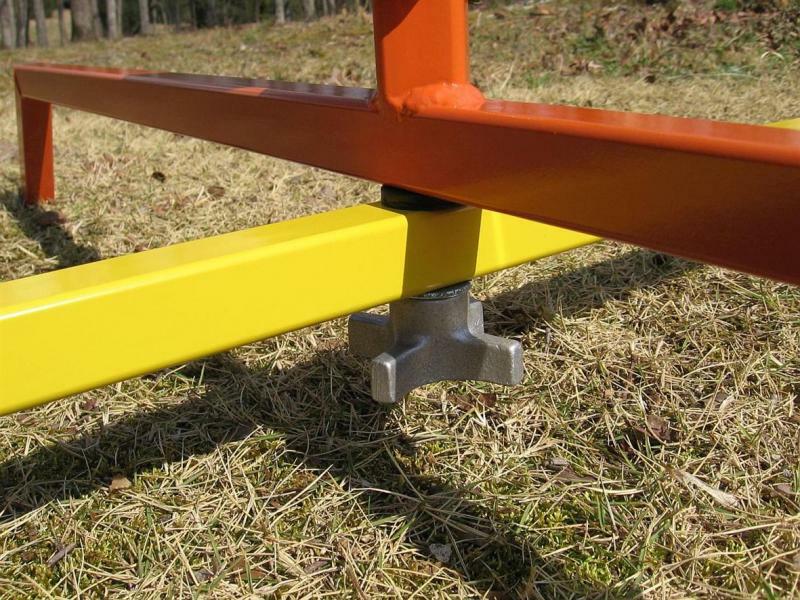 Our 1010 rail perch is made from welded steel tubing and slides down onto a 1010 rail giving the rocket a place to sit a few inches above the blast deflector before ignition and liftoff. High temp black. 2. There never was much money to be made in simply cutting material to length and shipping it in a PVC tube in the first place. Our money is made by fabricating steel. We started selling the rods because our launch pad customers were﻿ constantly asking us if we carried them. We were almost expected to sell them, and we wanted to offer them as a convenience. But by the time we'd go get the material, weed out the bent stuff, cut the rods to length, debur the cuts, clean all the grease and oil off of them and then went and got the shipping tubes, caps and cap cement and cut the shipping tubes to length and glued a cap on one end, packed the rod order and taped the other cap on with enough packing tape to choke a horse (when we only used enough tape to choke a pony, the post office would pop the taped cap off somehow) well... I think you get my point. For a product that seems so simple to sell, they were a TON of trouble for just a few bucks profit, if that. 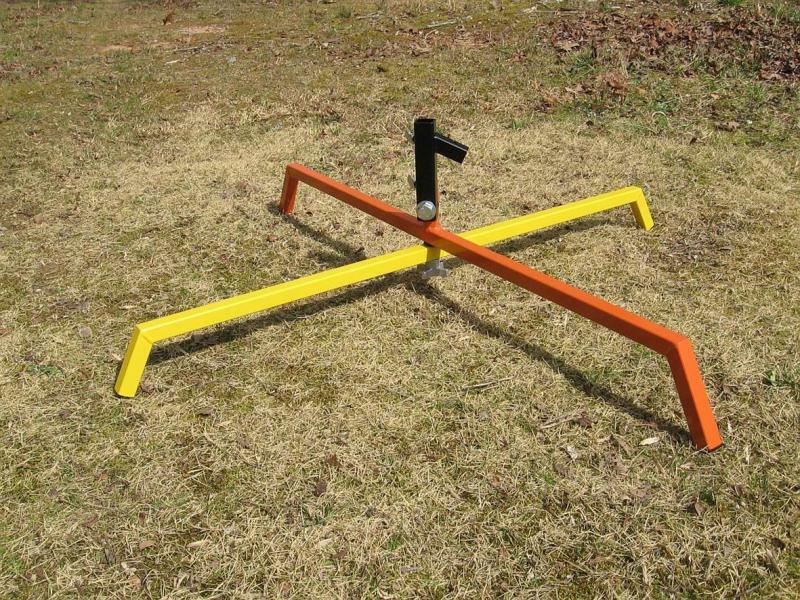 And we've never sold launch rails as we don't have a wholesale source for them. Looking for a stainless launch rod? Try here: http://www.onlinemetals.com/merchant.cfm?id=7&step=2&top_cat=1. I think you'll find their prices to be FANTASTIC, but the shipping? That's less than fantastic, so get all three rod sizes while you're at it. As for a launch rail, you can get those at amazon.com.